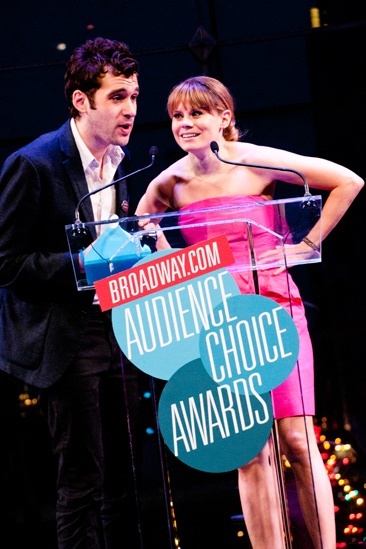 Peter and the Starcatcher stars Adam Chanler-Berat and Celia Keenan-Bolger accept Christian Borle’s award for Favorite Funny Performance. Sadly, Borle was home sick. “All of us are better actors and people for having been in a play with him,” Celia says.